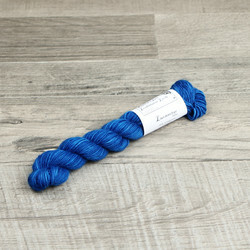 These miniature skeins are smaller versions of the 100 g skeins listed on our shop. 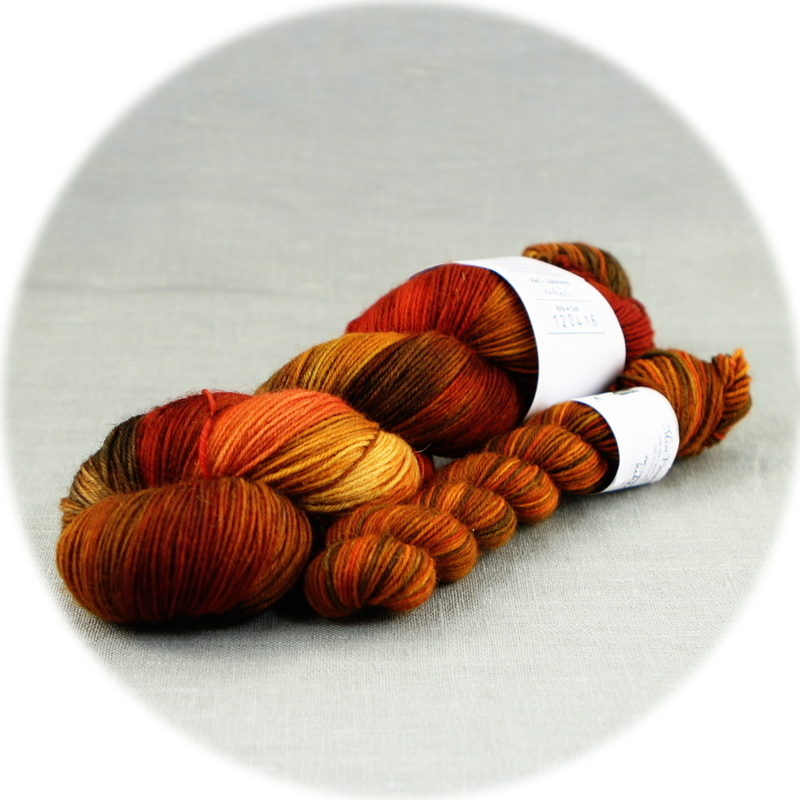 They are otherwise similar than the larger skeins, only the skein weight varies from 20 to 25 grams. These are perfect for knitting a swatch to sample the yarn or for striped and stranded projects, where small amounts of different colors are needed. One miniature skein of Väinämöinen (4-ply) will produce one ankle sock for adults. 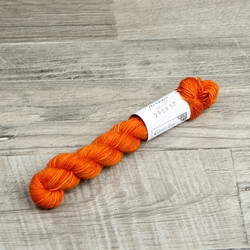 Pictured below is one full-sized 100 g skein of Väinämöinen in Kekäle (Ember) and a miniature skein of Väinämöinen in the same colorway.